TASTING EXPO2015, JULY: WHAT FUTURE DO WE WANT? THE MENU OF BIODIVERSITY AND TECHNOLOGY IN THE KITC In the kitchen he who hesitates is lost. Technology and ideas are available to everyone, only to write with policy, with fantasia but never change our personality! Expo2015 is a way to know, live and enjoy our magnificent territory. The Verdegaio Restaurant, on the occasion of Expo2015, from May to October we will tackle with the palate every month a theme touched on by Expo, presenting it in a Menu dedicated to the event and posted in our Classic Menu. TASTING EXPO2015, July: what future do we want? The menu of biodiversity and technology in the kitchen . Taste comfortably the benefits of a diet that varies from fish to legumes and vegetables, from the bread to the olive oil, from meat to healthy sweets and small sins of gluttony. Genuine Cuisine, attentive to the territory. Menus for vegetarians and celiacs. Great parking and Park. The restaurant Verdegaio is crossed by roads of history, art and Prosecco and more precisely lies in one of the Romantic hills of Susegana who open their hearts and rejoice the spirit and palate. 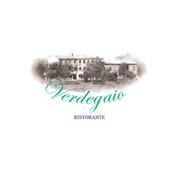 The name of the restaurant, ' Verdegaio ', takes its cue from a disused adjective in the italian language that indicated in one word the cheerful and vibrant green color. The Verdegaio Restaurant is a farmhouse of the year 1800, furnished in Provençal style, a relaxing atmosphere, full of fresh flowers and immersed in nature; a wonderful gift that many years ago a husband, Luigi, he is staying here after leaving the wonderful Umbria, made to his wife Ornella for the birth of their daughter Rosa. Since that time a lot of life, sacrifice and love are passed between the walls, the vineyards, the Cuisine and the people of Verdegaio; among the stories of who was born and raised here, between the looks of guests chatting by the fireplace and children in summer brighten the veranda and the park with its animals, its Vines and mulberry trees (in the attics of the Verdegaio many many years ago it raised the silkworms which feed on Mulberry leaves). We love living in a Restaurant where eating is not just a quality culinary experience but also a moment to relax, smiling and, at least for a moment, forget your worries. The Verdegaio is nice to have lunch, dinner, perhaps with a glass of Prosecco Verdegaio, plan a special event, a banquet or business activities (conferences, meetings, presentations, corporate events), certain to be accompanied with dedication and participation in the Organization of the event. We are full of ideas and initiatives (the Chic picnic Table, the Thursday night with its refined Buffet and its cultural and oenogastronomic meetings...), but always staying in love and true to tradition, the respect for the territory and this House where we spend most of our time and of our lives.